Hanns Eisler School of Music Berlin was founded in 1950 and is located in the heart of Berlin at the Schloßplatz and the Gendarmenmarkt. The school boasts a symphony orchestra, a school choir, the ECHO Ensemble and numerous chamber music ensembles. Courses are coordinated under four areas of discipline, ranging from voice and direction to strings, woodwind and brass and musicology and composition. The educational profile is complemented by cooperation with institutes shared with Berlin University of the Arts such as the Jazz Institute Berlin, the Institute for New Music Klangzeitort and the Kurt Singer Institute for Music Physiology and Musicians’ Health. 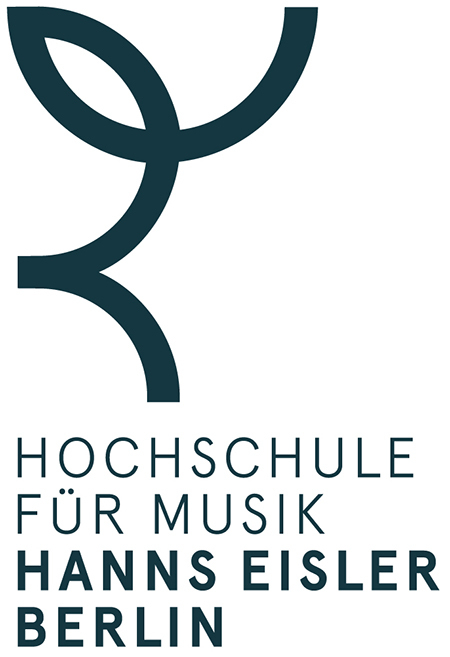 Hanns Eisler School of Music Berlin presents close to 300 public events annually, including concerts, opera projects, presentations and masterclasses. Alongside the highly decorated staff and the practical approach of the training, the encouragement for students that emanates out of the cooperation with Berlin cultural institutions is a key attribute. These intensive cooperative relations include partnerships with Konzerthaus Berlin, the Berliner Philharmoniker Foundation, Deutsche Oper and Komische Oper. Internationally renowned artists such as Kolja Blacher, Christine Schäfer, Tabea Zimmermann, Nicolas Altstaedt, Claudio Bohórquez, Hanspeter Kyburz, Marie-Luise Neunecker, Thomas Quasthoff, Julia Varady and Antje Weithaas offer students practice-oriented teaching. Masterclasses and workshops refine the direct work with artistic personalities – in this context, students have already benefited from working with Midori, Nikolaus Harnoncourt, Daniel Barenboim, Zubin Mehta, Kent Nagano, Seiji Ozawa, Thomas Quasthoff, Sir Simon Rattle and Christian Thielemann. The markedly international student community makes the school a place of international encounters. Two thirds of the students come from outside of Germany, one third from outside of Europe. Musical excellence is our duty. Exceptional musical personalities are the foundation of our educational quality and musical practice. We promote talent in its holistic development - from the attainment of finest technical precision to being ready for the stage. The College of Music offers a comprehensive program of instruction for all students who expect to become professionals in the field of music. For general University students, it offers a wide spectrum of opportunities for disciplined personal growth and creative achievement. In addition, it produces and sponsors musical events that enhance the cultural life of the campus, the community, and the surrounding region. FSU is home to one of the largest and most diverse music programs in the country offering 25 degree programs at the undergraduate level alone. Our students participate in nearly 50 ensembles and perform in more than 500 concerts each year. Our graduates are highly successful beyond the classroom. Career preparation is an ongoing process at the College of Music. Faculty mentors take an active role in placing and connecting their students to career opportunities, and a Career Liaison from the FSU Career Center works directly with students in the College of Music. The Allen Music Library regularly sponsors workshops on résumé writing, and career development is a major focus of Music Entrepreneurship classes. Additionally, "Applying to Graduate School" workshops are offered each fall. 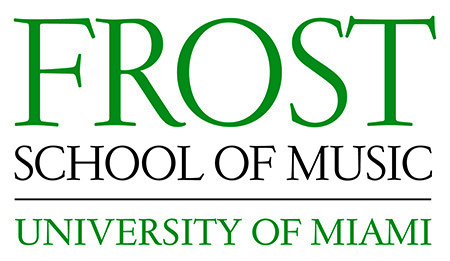 The mission of the Frost School of Music at the University of Miami in Coral Gables, Florida is to foster musical leadership by providing an innovative, relevant, and inspiring education; advance performance, creativity and scholarship; and enrich the world community with meaningful outreach and brilliant cultural offerings. 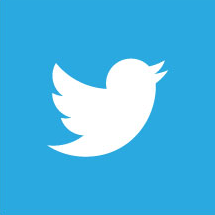 The Frost School of Music is one of the largest and best music schools located in a private university in the U.S., and one of the most comprehensive and relevant in all of higher education. Frost has pioneered new curricula and was the first in the nation to offer professionally accredited Bachelor’s and Master’s degrees in Music Business and Music Engineering Technology, and was among the first to offer degrees in Music Therapy, as well as Studio Music and Jazz. Renowned for its Instrumental Performance programs, it is the home of the Frost Chamber Orchestra, Frost Symphony Orchestra, and Frost Concert Jazz Band and is a leader in vocal training with the Frost Opera Theater, Frost Chorale and other notable choirs. Frost is the exclusive home of the Frost Experiential Music Curriculum which fully integrates performance, music history, ear training, and composition through chamber music and skills ensembles; the Henry Mancini Institute which provides Frost students with cross-genre performance opportunities in real-world professional settings; the Stamps Family Charitable Foundation’s Ensemble Scholars program which provides free tuition, room and board to 19 academically strong and highly talented undergraduate music students; and the Bruce Hornsby Creative American Music Program which develops the creative skills of talented young artist/songwriters by immersing them in the diverse traditions of American songwriting. The Frost School of Music is a dynamic place where exceptional students and faculty come together to transform the world of music. Brilliant performance, creativity, and scholarship are at our core. Frost School of Music dean, faculty and professional staff provide music career advisement to students during all years of study. The majority of students also enroll in music business courses. The University of Miami’s Toppel Career Center is also available for consultation. The Glenn Gould School represents the highest standards in music education and is dedicated to nurturing its students so they reach the highest level possible. 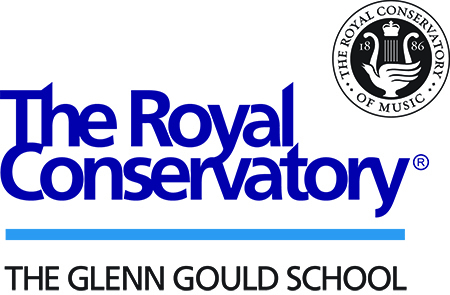 Committed to mentoring, The Royal Conservatory's Glenn Gould School keeps classes small and encourages supportive relationships with teachers. Additionally, it offers ample private lesson time, plentiful performance opportunities, and extensive master classes. All classes and events take place in unparalleled facilities, including the internationally acclaimed Koerner Hall. The Rebanks Family Fellowship and International Performance Residency Program at The Royal Conservatory's Glenn Gould School offers a rich curriculum for career development. The Program has been designed to be the catalyst for launching successful professional careers of extraordinary Canadian emerging artists who have completed their formal training. It will include private study with exceptional faculty and guest artists, concert presentations, and career coaching, along with marketing training and support. Additionally, each Rebanks Fellow will participate in a funded residency. New England Conservatory educates and trains musicians of all ages from around the world, drawing on the talent and deep reservoir of experience of our distinguished faculty. We are dedicated to inculcating the highest standards of excellence and nurturing individual artistic sensibility and creative growth. Understanding that music is one of the transcendent expressions of human civilization, NEC aspires to ensure it a central place in contemporary society. 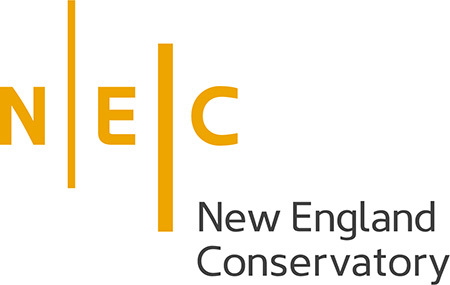 NEC is a premier conservatory that values exploration and collaboration. Students are mentored by a devoted faculty of esteemed artist- teachers and scholars. Alumni fill orchestra chairs, concert halls, jazz clubs, recording studios, and arts management positions worldwide. NEC has reinvented how we equip young musicians to thrive amidst the challenges they find after graduation. Our mission has not changes—we educate and nurture exceptionally gifted musicians to perform at the highest levels of accomplishment. But today, performance excellence is the starting point. Musicians must be more than virtuosi; they must be their own businesses. More information here. The New School prepares students to understand, contribute to, and succeed in a rapidly changing society, thus making the world a better and more just place. We will ensure that our students develop both the skills that a sound education provides and the competencies essential for success and leadership in the emerging creative economy. We will also lead in generating practical and theoretical knowledge that enables people to better understand our world and improve conditions for local and global communities. We offer a dynamic mix of legendary musicians as mentors, a superb and renowned faculty, an audaciously progressive curriculum, countless opportunities to perform, and proximity to all of the action in the global epicenter of the music industry, New York City. Our integrated academic and career advising model aims to help students explore new disciplines and areas of study, create their own specialized degree pathways, and discover passions that will shape their future endeavors. Advisors have extensive knowledge of campus resources and will show you how to navigate university systems and procedures. They also act as a liaison between you and other university staff and will acquaint you with procedures for communicating with faculty and other academic leadership when policy questions such as academic integrity, grade appeals, and academic standing arise. We’re taking an innovative approach to supporting undergraduate students throughout their time at The New School and their transition to the working world after graduation. Instead of visiting a separate office for career advice, undergraduate students will be able to have an ongoing, holistic conversation with a professional academic and career advisor to support them as they design their own unique degree pathways and prepare to effect change in the world after graduation. What students do after college is as important as what they do in college. Academic and career advising begins the moment new students select their classes for the first semester and continues through graduation. Through this integrated academic and career support model, we ensure that each student’s personal needs are met. Career Services encourages alumni to maintain their relationship with The New School and use our services, share experiences and successes, participate in career events, and become mentors to current New School students. Whether you are preparing to take the next step along your career trajectory or rethinking your career path, we offer assistance in a variety of ways. The mission of the New World Symphony is to train gifted graduates of music schools and conservatories for leadership roles in classical music. The New World Symphony envisions a strong and secure future for classical music and will reimagine, reaffirm, express, and share its traditions with as many people as possible. The New World Symphony will be diverse and inclusive. We recognize that the viability of the performing arts depends on their being reflective of the communities in which they exist. NWS is proud to be partnering with many organizations to realize the goal of the reflective orchestra. A laboratory for the way music is taught, presented, and experienced, the New World Symphony consists of 87 musicians who are granted fellowships lasting up to three years. The fellowship offers in-depth exposure to traditional and modern repertoire, professional development training, and personalized experiences working with leading guest faculty. An intensive four-day audition preparation seminar, involving visiting coaches from major orchestras, is held each year and consists of a series of audition training exercises and private audition coaching, as well as a panel discussion of the audition process from the perspective of the orchestra audition committee. In addition, Fellows organize monthly mock auditions, with the occasional participation of guest conductors and coaches. To assist Fellows in achieving optimal performance in audition and performance settings, NWS offers workshops with psychologist Dr. Noa Kageyama, whose groundbreaking work with NWS Fellows includes individual training and group exercises. For its students, the aims of Oberlin College and the Oberlin Conservatory of Music are to: Graduate liberal arts and conservatory students who have learned to think with intellectual rigor, creativity, and independence; provide the highest level of conservatory education; offer superb liberal education; open the world to its students and develop the skills and knowledge they will need to engage highly diverse communities; nurture students’ creativity; help students clarify and integrate their intellectual strengths and interests, social commitments, and vocational aspirations; enable students to integrate and apply their knowledge; and nurture students’ social consciousness and environmental awareness. Oberlin Conservatory is the country's oldest continuously operating school of music. This National Medal of Arts winner is renowned for its focus on undergraduate pre-professional education and for the double-degree program. The conservatory shares a seamless campus with Oberlin College, a premier liberal arts college. Oberlin College’s Career Center and Oberlin Conservatory's Professional Development Office help students and recent alumni in the College of Arts and Sciences and the Conservatory of Music identify and achieve meaningful career objectives that build upon their Oberlin education and experiences. We offer group and individual counseling as well as experiential opportunities that complement all students’ learning and experiences during their time at Oberlin.